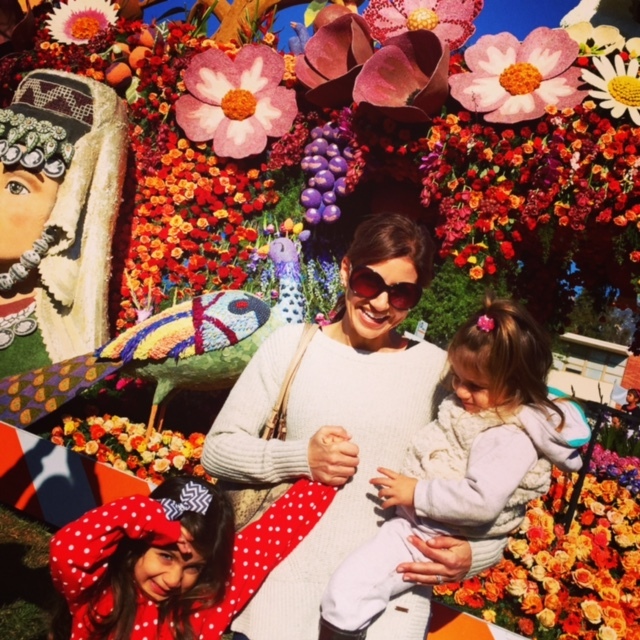 The Fake Armenian on the Rose Parade float. 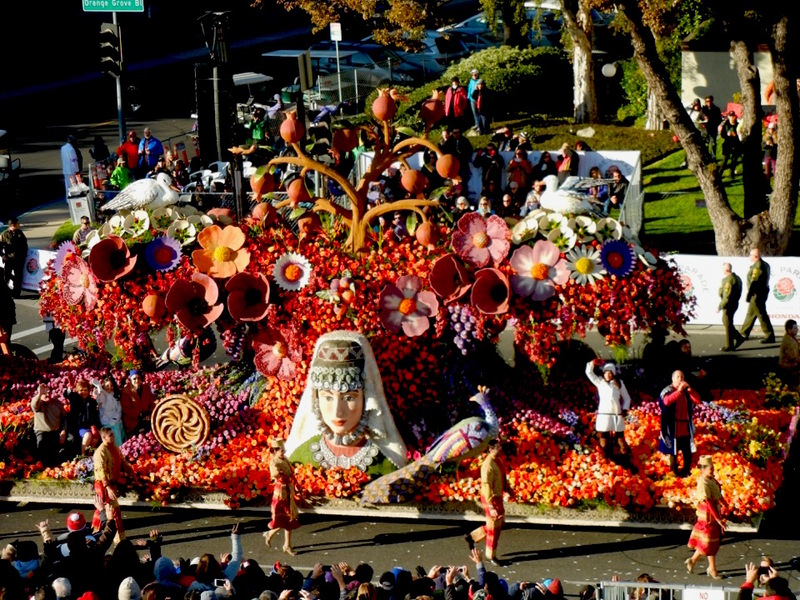 The American Armenian Rose Float Association is collecting donations to continue the tradition of this most historic endeavor to include Armenian heritage and the success of American Armenians in the annual Rose Parade. Any amount, large or small, is appreciated and welcomed. To donate, visit AARFA.org or contribute via AARFA’s Facebook page. “What kind of Armenian are you?” He may as well have said it in ancient Latin. I didn’t understand the question. “What kind of Armenian are you?” he repeated. How was I supposed to answer? A nice one? A fun one? One that liked to party? “Oh! 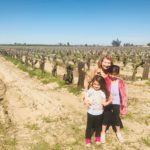 Fresno!” I exclaimed, thrilled that we were finally getting somewhere. “No. Where were your grandparents born?” he demanded. “Fresno…” I said again (even though one of my grandmothers was technically born in Los Angeles and moved to Fresno with her family when she was basically a toddler, but I wasn’t in the mood at that moment to split hairs with this guy). “Oh you’re one of those fake Armenians,” he joked. He smiled. He laughed. Huh?!? I did not laugh. (Looking back, maybe I was unreasonably uptight?) As an 18 year old freshman (fresh from my family’s home in Fresno, California), sitting in the middle of UCLA’s busy Kerckhoff Patio (where a lot of Armenian students ate lunch, and where I was trying to make new friends between classes) I suddenly was confused, intimidated, annoyed, dejected and totally pissed off. The words took shape over and over in my head. FAKE ARMENIAN. FAKE. ARMENIAN. This was a first. I got angry. So this is what it felt like to be rejected by your own culture in one swift stupid phrase. This feeling was foreign to me. In Fresno, if you were Armenian, then you were Armenian… and you were most likely loved (Fresno has great affection for the Armenians… most of ’em have been there for over 100 years). 1995-ish… My grandparents, my sister and me. Bottom line: I was suddenly labeled as FAKE…. because all four of my grandparents were born here and I happened to be ‘Americanized.’ Through some (notice I specify, SOME) of the eyes of my first- and second-generation cultural peers, I was quickly consdiered ‘less than’ them. Everything that my family had worked towards for four generations (a new life, a respected reputation, contributing members of society, positive recognition as citizens of the United States) was worthless and seemingly unacceptable to this new Armenian crowd I found myself navigating. I was shocked. It hurt. But on January 1, 2015, many things changed…. 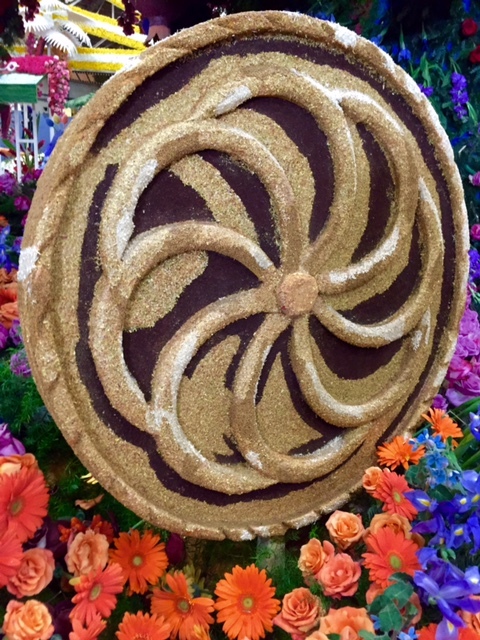 as I was lucky to be one of twelve riders of the very first American Armenian Rose Parade Float. That’s right, that overexcited chick you saw on TV during the Rose Parade, standing near the front of that gorgeous and detailed President’s Award winning display of rich oranges and reds, dressed in a white coat, white hat and red gloves, waving her arms at the crowds on the street and smiling to point that it looked like her face hurt was ME. Me, the Fake Armenian. Thanks to a very smart, passionate and committed small group who had a collective vision, this was the very first time – EVER – that the American Armenian community was represented in the most iconic of worldwide New Year’s Day traditions [the Rose Parade]. This was history. This was history that I was blessed and grateful to be a part of through a surprising and unsolicited series of fateful twists (basically, a few of the *really famous* riders originally booked – Gov. George Deukmejian and famed coach Jerry Tarkanian – had to cancel at the last minute because of health reasons… my TV/media accomplishments and my personal involvement with fundraising events for the float had unofficially landed me a spot on the ‘alternate riders’ list and I just got lucky). 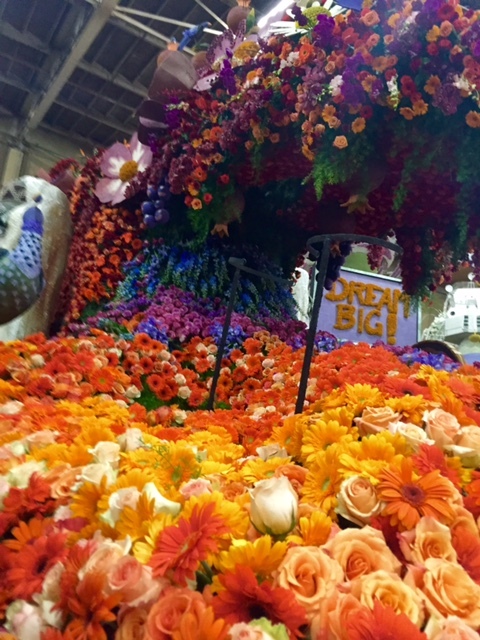 The “Dream Big” caption was not on our float… but, how fitting, no? I remember my innocent imagination running wild: Jill Simonian, The first Armenian Tony Award winner! Jill Simonian, The first Armenian Miss California! Jill Simonian, The first Armenian Miss America! Jill Simonian, The first Armenian woman to anchor an entertainment news show (some of you may remember that one actually coming true at ReelzChannel between 2007-2009)! The first, the first, the first. Maybe I’ll be the first Armenian ‘something’ I used to think. I began to want it and work towards it through my various activities and I really don’t know why… my parents and grandparents never put that in my head. But being a part of history and representing all the generations of my family’s history – in some widely-known and recognizable capacity – was just something that I thought would be an incredible marker on both my life and my heritage’s story of immigration. 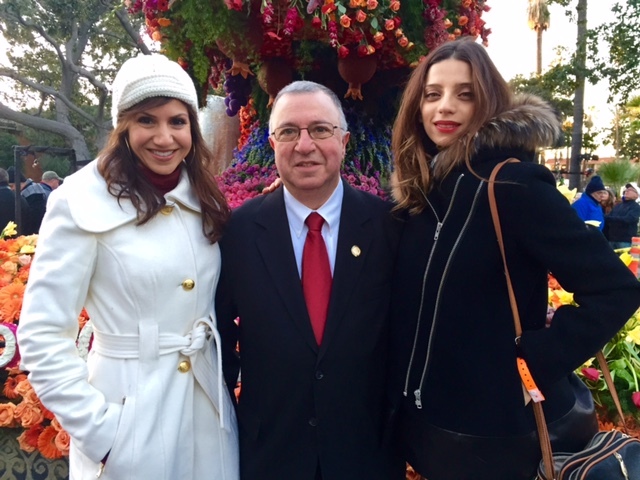 Actress Angela Sarafyan & Honorable Judge Samuel Der Yeghiayan… the FIRST Armenian immigrant to become a federal court judge. So in an effort to be the first Armenian ‘something,’ I went for it from a young age. I performed in every stage production I could get my foot in the door to at UCLA and beyond. 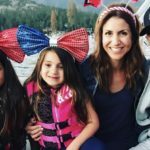 I competed for Miss California (three times) and came so close to actually winning – and continuing on to the Miss America Pageant – that it hurt. I hit up every single pro baseball and basketball team in my immediate reach and sang the National Anthem at games (LA Lakers, LA Clippers, LA Dodgers and SF Giants). After college, I jumped into working on TV via KTLA-5’s Morning News competition to find a new weathercaster (in 2005… no, I’d never reported the weather before) and, AGAIN, came so close to winning that competition and a prime job that it hurt (this time it hurt a bit more). My trials continued… I got some dreams, I didn’t get others. I kept going, because all you can do is work hard, try hard…. and wish. Related: Toddler Discipline: The fabulous phrase my girls fall for. On January 1st, while rolling down Pasadena’s famous Colorado Boulevard, I was overcome with unexpected emotion from the crowds of Armenians along the street… the cheering, the electric energy, the fire that consumed them as they saw our culture represented in such a powerful, positive way. The float itself was stunning and incredible. I was starstruck by it’s beauty and the ongoing life of the people it represented… and by the luck of the draw I was a part of it. (Me, the Fake Armenian.) It was surreal. Four generations of my family – some of the very first Armenians who immigrated to America in the early 1900’s – were represented on that float with me that day. And you bet I was gonna wave my arms off and scream my head off in a tribute to them. Symbol of infinity and eternal life. It was on the float (somewhere around the 2-miles-left sign and a severe cramping in my left hand from holding on to the safety bar) when I realized that a serious wish of mine had been granted. It was a wish that I’ve had since moving to the big bad city of Los Angeles, but had been buried underneath goals, dreams, hopes, disappointments and all of life’s events that tend to hide certain things that live deep down inside us: The Armenian community (in LA) finally identified me as one of their own. Truly. Fakeness and all. It suddenly didn’t matter what generation I was. It didn’t matter that I don’t know how to write the Armenian alphabet. It didn’t matter if some jerk accused me of being a sub-par representation of my beloved heritage more than 15 years ago and planted a seed in my brain that made me extra-conscious about ‘proving’ I was Armenian to other Armenians I’d meet. I was there on that float, equal parts American and Armenian… and I was representing our culture in a most celebratory way that’d never been done before. It was liberating. I was really proud. And to think: I have the very FIRST American Armenian Rose Parade float to thank for this most moving realization and newfound cultural identity. Not bad for a fake Armenian, che? after all those amazing compliments and kind words there’s not much more I can add. I just want to say you have yet another supporter here; and for every ignorant person out there there’s at least seven or eight people like me that appreciate what you stand for and your determination to endure. Nicely said Jill. I can totally relate. Too often I have to defend my “Armenian-ness” to other Armenians. It is ridiculous. Congrats on getting to ride on the float… way to go! Thank you very much for your activities and sharing your feelings. I, an Armenian Armenian, am proud of Fake Armenians like you. A lot of lessons to be learnt from you. Looking and wishing success for more parades. Hello Heghine! Thank you for being proud of the “fake Armenians!” I love it… A very happy new year to you! From one “fake” Armenian to another…Bachigs to you!! Hello Roxann! Thank you for the bachigs and the kind words! Back at you! Beautiful indeed. What a pity that this “esh” spoilt many things for you, and hurt your feelings deeply. In all human groups, there are self-appointed experts of who is a real member. As Armenians, we will have to beware of this especially as more and more islamized Armenians will try to embrace their identity. We can bet that 2015 will encourage quite a few such people to come out and claim “I am Armenian”. Your painful experience may help us picture how horrible it’s going to be for the descendants of the “remains of the sword” to be rejected as “fake Armenians”, “Turks”, “Kurds” or “Muslims” by the self-appointed Armenian identity police. Against these esher, who come by the hundred, let’s all see if we can find a way to open our arms to those people who heroically maintained and nurtured the memory of their Armeniannes under condtions that were much less favorable than for American, Canadian, Russian or European Armenians. We could welcome them back at least verbally, on the internet, or otherwise, and make it clear to them that if they say they are Armenian, they are Armenian, period, and we won’t ask them “what kind of Armenians” they are. I hope your story contributes to this. Thank you for telling it. It was treat. Good luck to you and to the two future stars. Your thoughtful words are so meaningful and so much appreciated! Thank you so much! Wonderful new year wishes to you! Hi Jill! It was an honor to have you MC the fundraiser for the Float and an honor that I was on the committee to help make this float a reality. It was an absolute pleasure to help decorate floats each year and especially this historical year for Armenians. I want you to know that stupid people make stupid comments. Being 1st generation born in the U.S. I am judged constantly by “how Armenian” I am or am not. I smile and walk away ALWAYS! I don’t need to prove anything to anyone but myself! 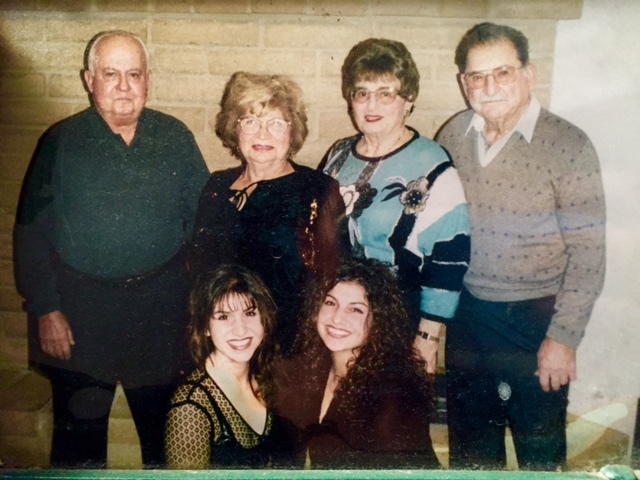 My grandfather, Joseph Manjikian, who recently passed away at age 104, to the day he died told my children stories of his survival of the genocide. We were reminded of how lucky we are to be Armenian and be the survivors of an amazing, strong, christian people. I’ve worked countless hours in the villages of Armenia with Land and Culture organization for 6 years -3 months every summer rebuilding our churches that were in ruins. To be sure that the land we have, our history and culture stands strong for my children and their children for centuries to come. I volunteer countless hours on over 10 Armenian organizations to make a difference in this world as human and an Armenian. We don’t need to prove anything to anyone but ourselves and our children. So they know who they are even if they’re 1st, 2nd, 3rd or any other generation after that! We are a people who are survivors! I was born and raised in Pasadena, Ca. My grandparents, my mothers parents, Harout (93) and Mania (89) Bachoian always say how lucky we are to be living in America and I agree. I am a proud Armenian, respectful of all cultures, and work hard for all that I believe in, and will never let stupid comments bother me! Don’t let this (dare I say again, stupid) person make you judge the Los Angeles Armenians. WE ARE ALL “REAL” ARMENIANS in the diaspora!! Making a difference in this world! You are an amazing ‘real’ hard working, talented Armenian!! Thank you for sharing your amazing experience with all the world, to show and share the first Armenian Float!! To recognize their endless crimes . . .
Who breathes for justice . . .
With the novels of William Saroyan**…! Oh my… this is just BEAUTIFUL. Your talent amazes me! Your post is so powerful, that it will goad many ignorant people like that underprivileged and ignorant man, who you had that unpleasant encounter with, into learning that one does not have to be a child or a grandchild of an immigrant to be considered an Armenian. What you just did is an enlightenment for so many who still hold the belief that a “true” or “real” Armenian is someone who resembles them, in the sense of family structure, or whether you speak Armenian, or perhaps if they somehow can identify themselves with you. I can not pinpoint the idiosyncratic reasons they may harbor in justifying their opinions or conclusions. Please, KNOW and rest assured that there are thousands of us, Armenians, who see and find the VERY and REAL Armenian in you. You redefine the transparency and relativity in time and generational gap that formulates the gestault of being of the real Armenian, of someone who not only has Armenian blood flowing through her veins (and arteries ;), but also has the Armenian spirit in her entire entity. Dr. Sylva… I am honored by your words! Armen… thank you for such wonderful words! I am truly touched… and honored that this resonated so much with so many of us… have a wonderful 2015! Proud to know Armenians like you!! you are A beautiful soul inside out! 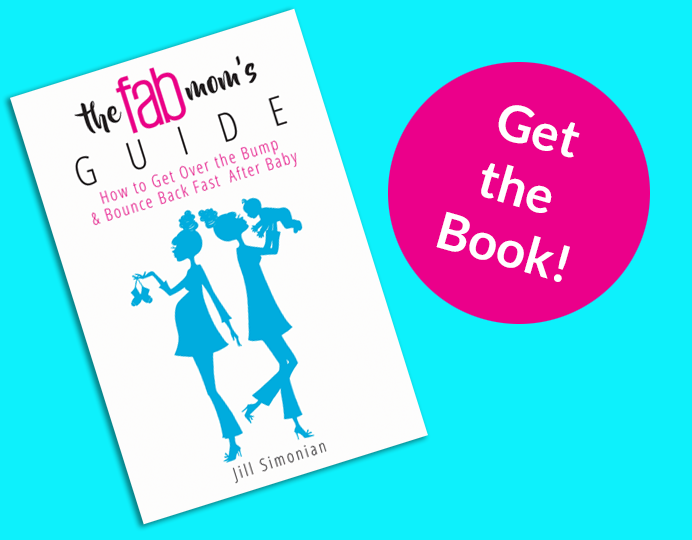 Jill, this is a beautifully and thoughtfully composed memoir of a truly blessed day. We are all so proud of you; all of your accomplishments; the way you have carried yourself throughout life; the way you have represented yourself, your family, our Armenian heritage and Christian values. 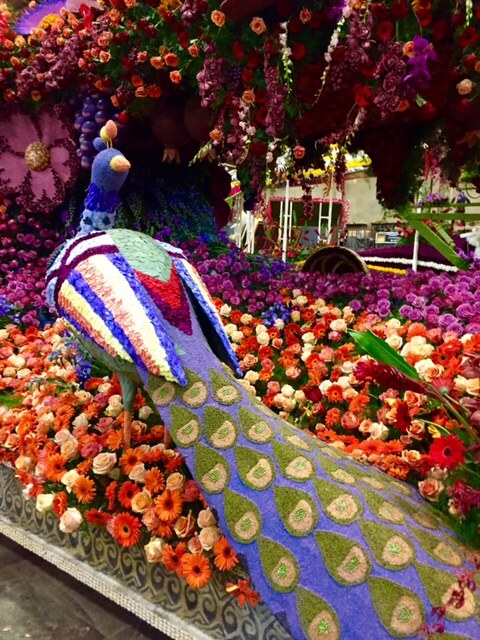 The creation of this float by a very talented group was a blessing to you and to all Armenians; I am thankful that it was recognized by the Rose Parade committee with the President’s Award. Today, January 6, 2015, the birth and revelation of Christ is being celebrated in the Armenian Church. Krisdos dzunav yev haidnetsav; Orhnial eh haidnootiunun Krisdosi. Tzezi mezi medz avedis. Christ is born and revealed; Blessed is the revelation of Christ. Good tidings for you and for me!